TVC Combat Assault Tank Gets Another Price Drop Down To $38! 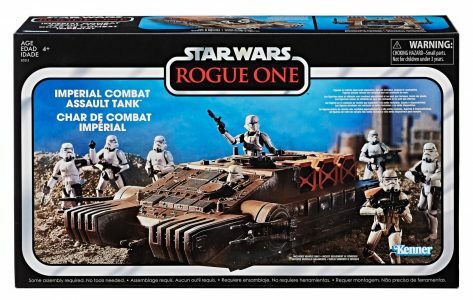 Amazon drops the price again for the Imperial Combat Assault Tank. Grab it for $37.97! And, if you prefer to do your shopping on Walmart.com, you can also get it there for the same price. Thanks to Ray for the alert! UPDATE: Amazon has SOLD OUT of the tank at the $37 pricing. It is no longer available from Amazon and is only being sold by 3rd parties at the $79 MSRP.